Forty-one projects from 32 ­firms in Florida and Puerto Rico were selected by a jury of four based in London ­this May. Winners will be recognized, along with the 2018 ­AIA Florida Honor Award recipients, at the AIA Florida Convention and Trade Show at the Sawgrass Marriott Golf Resort & Spa ­this July. Projects and individuals will also be featured in the Fall edition of the­Florida/Caribbean Architect Magazine. ­For more about the AIA Florida 2018 ­Convention and Trade Show, click ­here. Click the photo below for slide show of winning projects and individuals. Warehouse Complex | Chandler and Associates, Architecture, P.A. Seabreeze West | Silberstein Architecture, Inc.
Hudson House | Seibert Architects, P.A. Bo Diddley Plaza Renovations | DAG Architects Inc.
Wabi Sabi House | Hall Architects, P.A. AdRizer @ BOTA Center | Hive Architects, Inc. 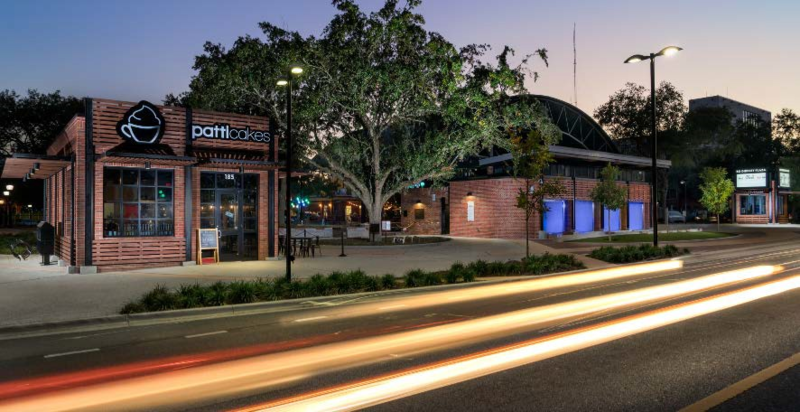 Affordable Infill | Birse Thomas Architects, Inc.
Barwdu School | KZ Architecture, Inc.
St. Petersburg Pier Market | Wannemacher Jensen Architects, Inc.
Bo Diddley Plaza | DAG Architects Inc.
Doak Campbell Stadium Improvements | EMI Architects, ROSSER International, Inc.